A good place for companies to start with co-creation is beginning to connect their internal sales people with their customers’ communities on social media. An example of a successful implementation of such a strategic approach is Burberry: its CEO, Angela Ahrendts, decided to act upon a grand vision of the company as a social enterprise where all employees, customers, and suppliers share the same experience of the brand, whether through stores or digital platforms. The digital platform that Burberry, the iconic British fashion brand, is called Burberry World (Harvard Business Review, 2012). Burberry is a British fashion brand that produces clothing and accessories. Besides that, Burberry produces their own fragrance line and owns franchise stores all over the world. Increasing personalization as online insights meet offline interactions to create the most progressive luxury customer service. 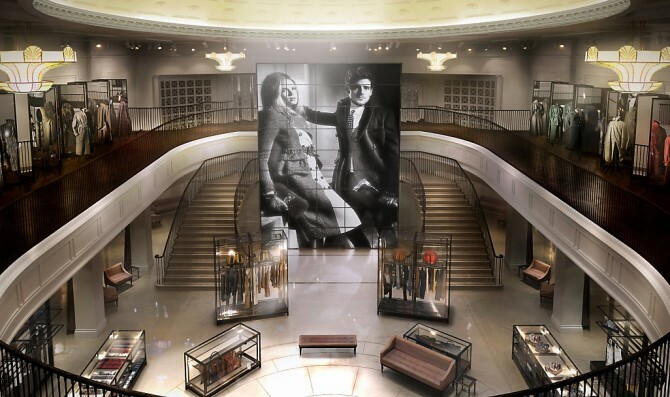 Beyond the above mentioned vision, Burberry world is a collection of applications that was developed by Salesforce.com that allows stores’ sales and service people and customers to re-invent their interactions as a mini-community. Employees that work in the store can engage with the customers: through a software program called Chatter, the employees can not only have access to traditional CRM-related transactional data, they can see an aggregation of their customers’ social media posts and activities as well. Moreover, customers can also engage with the brand on their terms. They can create their personal Burberry portal and start conversations on a variety of lifestyle issues, such as music and fashion. Customers also use these portals to make store appointments to view a new collection item or repair their previously bought items. Using both the engagement from the employees’ and customers’ side, the platform unleashes mutual emotions and generates useful data to both parties. Furthermore, the scope of Burberry’s co-creation strategy is not limited to the sales and service interaction. It is also possible for customers to remotely participate in fashion shows and to order items directly off of the runway. Additionally, they can suggest designs for the next trench coat (my personal favourite).